Welcome back to the Hampton Art blog! Today I'm sharing a fun card using a stamp and die set by Hampton Art and Hot Fudge Studio. The set also includes a chevron tree and a plaid tree to mix and match. 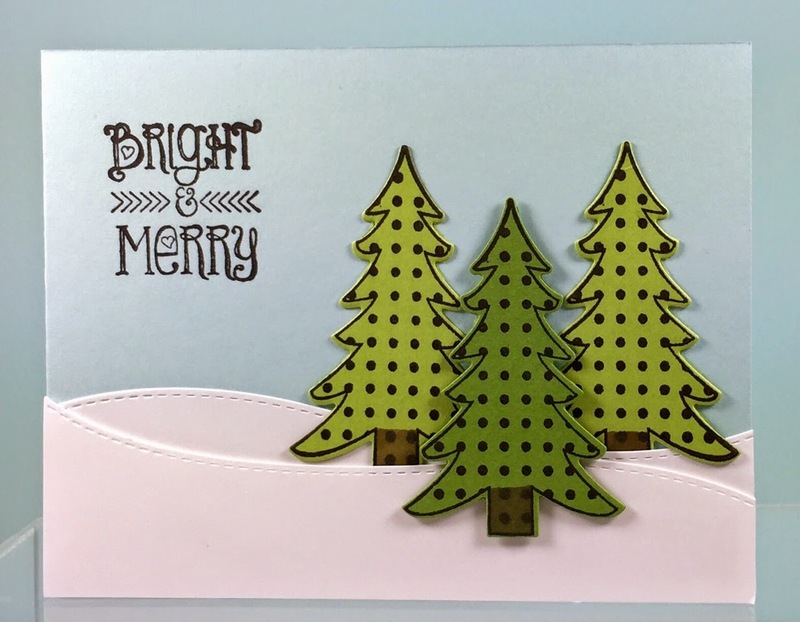 I stamped the polka dot trees and colored the trunks. Then I used the included die to cut out the trees. It is faster and easier than fussy cutting each one by hand! Here's another Christmas card with a mix of Hampton Art products, including Jillibean Soup Mix the Media Ephemera and a Diecut Vellum Star!